This is the blog of the EMISEI Project “Empowering Migrants Improving Social Eurpean Inclusion” funded under the ERASMUS PLUS Programme of the European Union, KA-1 EDA (Learning mobility of individuals, mobility of learners and staff) and managed by TIA FORMAZIONE. The project aimed at training educational staff on the social inclusion of migrants and envisages four mobilities, each one in a different EU country. The purpose of the project was to develop new digital skills for teachers working with migrants and refugees and encourage the exchange of best practices. Four organizations (Pacific Stream, VHS Delmenhorst, CVO LETHAS and Stockholms Stad) hosted 20 participants. The first training took place in Liverpool (December 2016). The following mobilities took place in Delmenhorst (December 2017), Brussels (May 2018) and Stockholm (June 2018). The final conferences of Emisei Project were held in Brusells (25 September) and Rome (27 September). After four Project Mobilities (Liverpool-UK, Delmenhorst-Germany, Brussels-Belgium, Stockholm-Sweden), the EMISEI PROJECT will introduce the results of the projects and will present some key aspects of migration, inclusion and labour integration through two conferences in Brussels (25 September) and in Rome (27 September). Check the draft agenda here or visit our website to find out more. 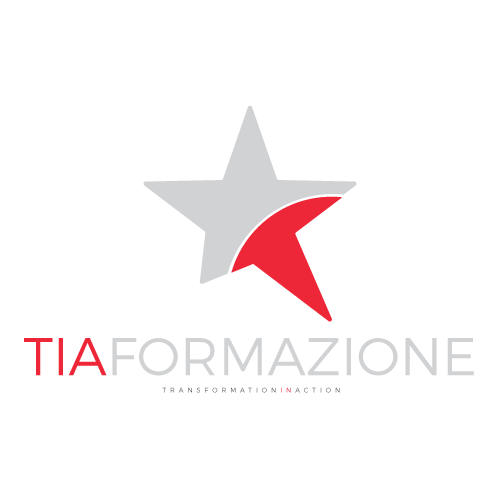 To register please send an email to tiaformazione@gmail.com by 18 september 2018. We are organising the final conference of the EMISEI PROJECT. It will take place in Brussels on 25.09.2018. We will keep you up to date about the agenda. The first day reflected my expectations: our host partner has created an interesting program full of ideas not only with regard to poly-immigration and integration, but also to educational policies and the system of job placement. Our tutor, Jeannette Lehninger (http://www.stockholm.se/sfi) SWEDISH FOR IMMIGRANTS, explained to us the models and elements that contribute to making Sweden a virtuous example in Europe and in the world. In the following days, it became clear that the goal of the Swedish system is this: to train independent people, providing migrants with the psychological, economic, linguistic and orientation tools that allow them to be realized in this new land. In this sense it is interesting to choose the development of critical thinking in the curricula of the centers for language learning: the teacher provides the student with the tools to learn independently the information concerning him, without relying on the family circle or the belonging group. The methodology chosen to achieve the objective of an independent subject is to structure individual paths. The person is listened to by all the professionals with whom he interfaces: the teacher realizes an individual study plan, the career and guidance counselor (fundamental figure of the Swedish system) exposes all the available training and / or job opportunities, the social worker deals with advising how to settle the economic and family situation. In that game of absurd combination that is the mind, this attitude reminded me of the motto of the Solomon Islands, read in a book: “To Lead is To Serve”, to drive is to serve. The basic idea is to make these people understand their future goals and build a present that allows them to achieve them, all in a context of clear rules that allow the person to be free in respect of others and without assistance dynamics . For example, in the first meeting between teacher and migrant student, there is a profound dialogue between the two, aimed at building the student’s growth path. Afterwards, during the very first day of class, the teacher (where necessary, the interpreter) explains to the students the rules of the class in their mother tongue, in order to be sure that these are understood. To drive is to serve; or, even better, orientate these people, leaving them the freedom to choose (and to make mistakes) in respect of the rules, it is integration. On the eve of the departure, I try to answer the question I asked myself at the start: I was in perfect civilization? The answer is obviously no, nothing is perfect. The system has technical deficits (difficulty in coordination between public structures and significant drop-off rates after compulsory schooling, to cite the most important ones) and important areas for improvement. But the winning figure is perfectibility: the Swedes are committed to ensuring that they are always better for them and for the others who will arrive. And this impulse is likely to make us reflect. If you have arrived in Sweden as an immigrant and you are a willing person who yearns to get a job or to acquire new professional skills, you have many opportunities in front of you. But even if you are highly motivated, finding a job it is not so simple if Swedish is not your native language. Anyway, the prevailing feeling of this mobility in Stockholm – the fourth of the EMISEI project – is that if you are a really committed person, who is disposed to make some effort, you can receive support and financial aid to achieve your goals, no matter how old you are, where are you from or what education you have. Thanks to its long tradition on adult education, Sweden has developed an efficient system that aims to put in contact the needs of individuals with the demand of society, especially the labour market. The cornerstone of this system is to empower people to pursue their career goals and to increase their self-esteem, motivation and independence. This is true not only for immigrants, but also for Swedish people and for everyone who come to live in Sweden. If you are an immigrant, this will probably require more time, but in the end your efforts will be repaid. The Program SFI “Swedish for immigrants”, for example, provides a basic knowledge of the language combined with vocational training. Founded in 2004, the program involves approximately 600 students every year in the city of Stockholm. To apply to the program, you must have a temporary or permanent residence permit and you must be at least 16 years old. After completing the course, you will receive a grade and you will be able to use the language in everyday life and in working life. To increase the chance of finding a job quickly and to strengthen the motivation of students, the SFI Program offers different types of courses that combine the knowledge of the Swedish language with the teaching of the working language of a specific profession or the vocational training for jobs that have great demand in the labour market, for example nurses, chefs or construction workers. For these specific jobs it is not necessary to have a professional experience or education, since you can acquire the skills simply attending the course. Another possibility, for immigrants that live in Stockholm and have professional skills or a university degree from their native country, is to attend an SFX course. Swedish for vocational education, SFX, is a collaboration between all municipalities in Stockholm County, County Administrative Board of Stockholm and the County Council of Stockholm. One of the main strengths of this program is that it combines the teaching of the language and the vocational training. The SFX courses start from different levels of Swedish language and have the purpose to shorten time between education and work or entrepreneurship. At present, within this program, there are courses for eleven different professions such as baker, craftman, IT Programmer, Truck Driver and Bus Driver. As for the SFI program, the courses are totally free for the students. The program is also open to academics who want to work in Sweden and provides courses for engineers, economists, lawyers, medical staff and other professionals. The main goal of the SFX is to take advantage of the skills of people who already have a professional experience and to help them to start a career in Sweden as soon as possible. It is a mutual exchange and it works very well. The SFL – Swedish for Truck Drivers – for example, is one of the SFX course and it combines language teaching and vocational training in a job that has a large demand in Sweden, especially in Stockholm. The course starts every year in two sessions (January and August) and involves 17 students maximum. Many of them are Syrian refugees. After completing the course, the students must also pass the test to obtain the C driving license to start working as truck drivers. It is significant that more than 90% of them manage to pass the test and get a job immediately at the end of the course. The SFX program is only one example of the multiple opportunities that the Swedish education system offers to immigrants from very different cultural and educational backgrounds – no matter if they are European citizen or not – to increase their chances to access the labour market as a necessary condition to integrate them in the society. The most impressing aspect of this mobility in Stockholm for me was the unique Swedish system of lifelong learning. As well as children adults have the right of education. The Swedish system allows everone at everytime to return to the educational system. For example a 23-year-old woman, who dropped out from school as a youngster, has the chance to return to compulsory school, continue with secondary school and study at university afterwards. This second-chance education is for free. Compulsory school is from 7 to 16 years, afterwards students decide for higher education, vocational training or working. Schoolbooks, meals and transport are for free. School in Sweden is full-time and the compulsory school is not differentiated in lower, middle and higher classes. CSN stands for Centrala studiestödsnämnden, which means central study finance agency. If people decide to study, they can get financial support from CSN. The monthly amount depends on their age, the number of children and their educational background. The less educated one is, the more money he/she can get. The mone y has partly to be paid back over years, it should be done before retirement. Nearly everyone, who studies, receives CSN. It makes possible, that everyone can study, independet from the income of his/her parents. Till the age of 56 it is possible to be supported by CSN. Older than 56 one can still start to study, but has to finance it by him- oder herself. It is unique, that “the Swedish government is paying adults for getting education” as Jeannette Lehninger says, assisant headmaster of Vuxenutbildning Söderort (Adult Education Söderort). Career and guidance counselors in Sweden work for example in schools, at adult education centres and in the jobtorg (job square). They work with pupils from the age of seven as well as with adults. To make a decision regarding your job-related future you need to know all possibilities. Therefore the career and guidance councelors advise people in their process of decision making. For adults it is possible to study again if there are no more job opprotunities for the profession they have learned or after illness and rehabilitation. Furthermore it is possible to study again if a person is discontent with his / her profession. Also immigrants, who come to Sweden as adults and have a low educational background, can fist learn Swedish and then study. The requirement for immigrants is, that they have a permanent residence permit. In the municipality of Stockholm there are 80.000 students per year. Lifelong learning can be either higher education at university or vocational training. Via CSN it is even possible to finance courses at Folkhögskola (adult evening classes) for self-empowerment like singing, yoga, photography. A critical aspect of the Swedish system is, that there are so many opportunities, that young people get stressed and feel overstrained. There is quite a big number of youngsters with mental illness. We had finished our first day of course in Stockholm. We will publish our new articles about the experience of the last mobility. We are in Stockholm and we are exploring this breathtaking city after the first day of course! We are heading to Sweden today. This mobility will be the last one!